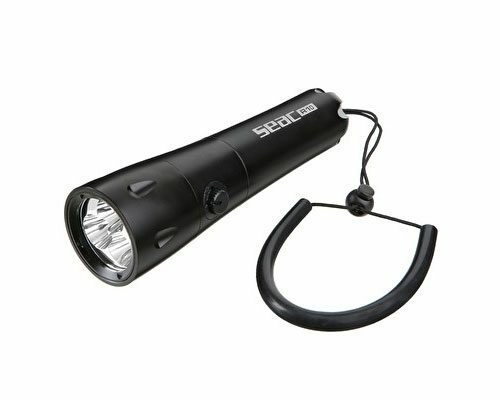 SEAC’s most powerful SCUBA Light – Seac R10 Dive Torch with tempered glass puts out 900 lumens to guarantee optimal visibility even in extreme conditions and as deep as 330 feet. Battery life is 70 hours. 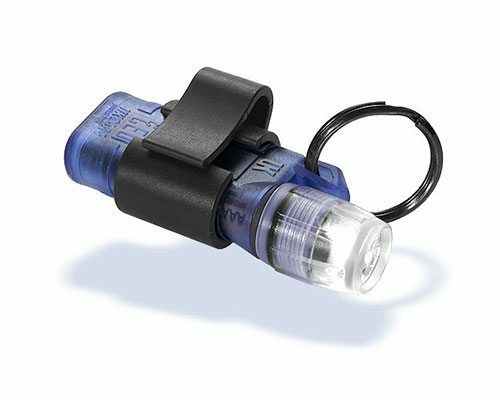 Durable metal body built to withstand rough diving. 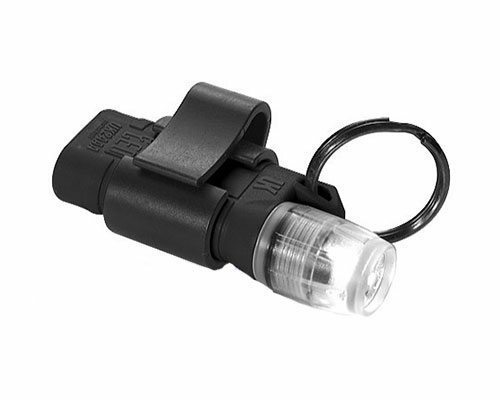 Electromagnetic ignition system and 3 LEDs eliminate mechanical wear. 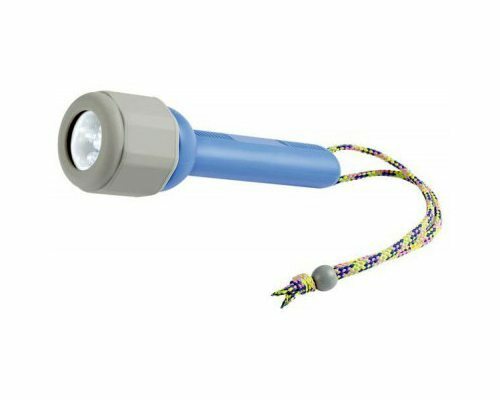 Light attaches to your wrist with convenient strap. Uses 8 AA batteries (not included). 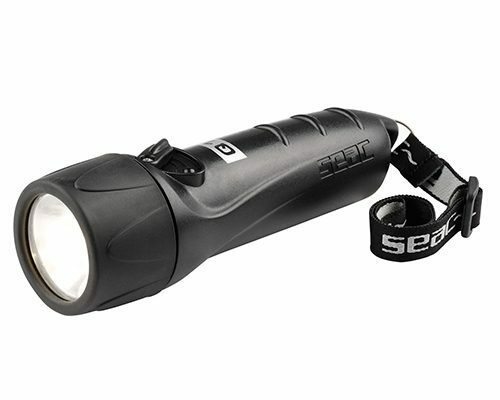 The Seac R10 Dive Torch can replace light canisters, so instead of carrying an extra pack and having to lug around a heavy light, it can put out as much light and for almost as long as needed for a dive. 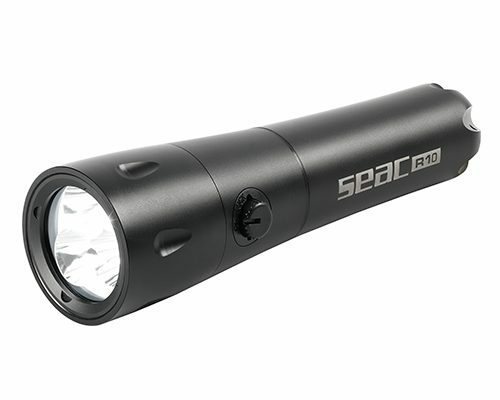 The size and weight of the Seac R10 Dive Torch may make it a bit cumbersome to handle, but its structure and size makes it almost indestructible. So drops, knocks and shocks will only serve to dent the body but not affect its performance.